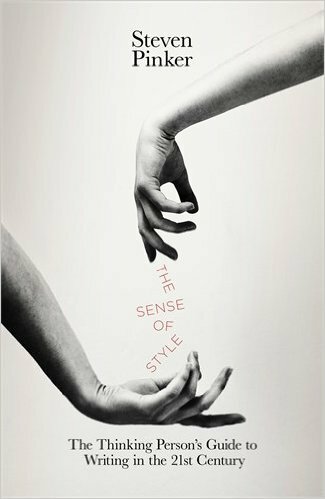 I recently read Pinker's The Sense of Style, and urge you to read it too. It is chock full of practical advice on how to make your writing better. Chapter One shows you how to appreciate good writing; I never knew an obituary could be so zippy. Chapter Two explains the approach to writing called 'the classical style', which I have used my whole life without realising it. Chapter Three describes how to keep knowing what you are talking about from getting in the way of communicating clearly. Pinker is an expert on modern grammar, and Chapter Four clarifies how to parse your sentences to avoid ambiguity and employ referents correctly. Chapter Five details the mechanics of how to make a passage cohere. Chapter Six catalogues, from Pinker's position on the usage panel for the American Heritage dictionary, contentious points of diction, with his advice on how to resolve them and what points to consider when resolving them for yourself. I recommend it highly, and doubly so if you are ever likely to write something that I will have to read. Fabulous! I love it so far. Thanks for this.